Tucked away at the end of a quiet road where the land meets the ocean is where you will find your escape. Our small Islamorada resort is a throwback to a gentler era, a more laid-back time in the Florida Keys. A secluded paradise for those who seek a casual spot to chill, a place to grill the fish you caught, a gorgeous sunrise to greet you in the morning, peddle bikes to carry you to seaside lunch spots, hammocks for reading or napping, kayaks to explore the pristine ocean waters that meet our doorstep and the easy energy of a small family inn with the amenities of island life. We pride ourselves in offering warm and gracious hospitality, clean and spacious accommodations, breathtaking ocean views and a quiet, relaxing atmosphere. Our quaint “old-charm” resort has been family-owned and operated for more thirty years and every guest is treated with the same enthusiasm our grandfather offered when he welcomed the first travelers. We will offer you as much, or as little, attention as you want. 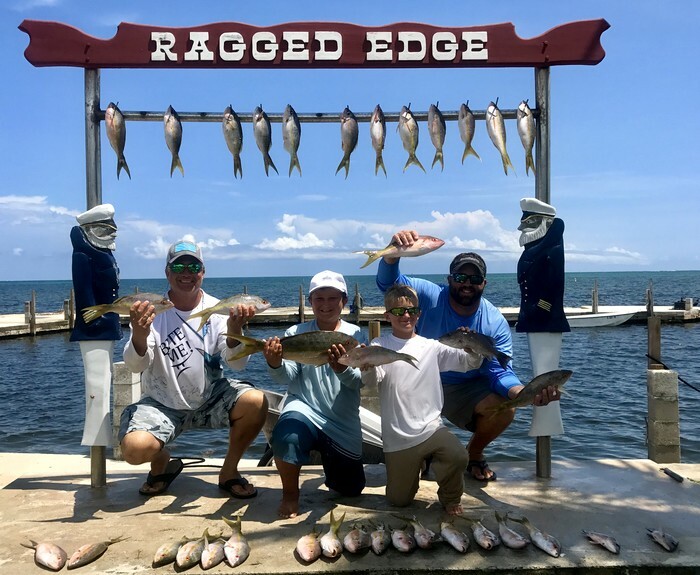 Join us at Ragged Edge Resort & Marina for an Islamorada vacation that will become a long-cherished Florida Keys memory. You will love it here! 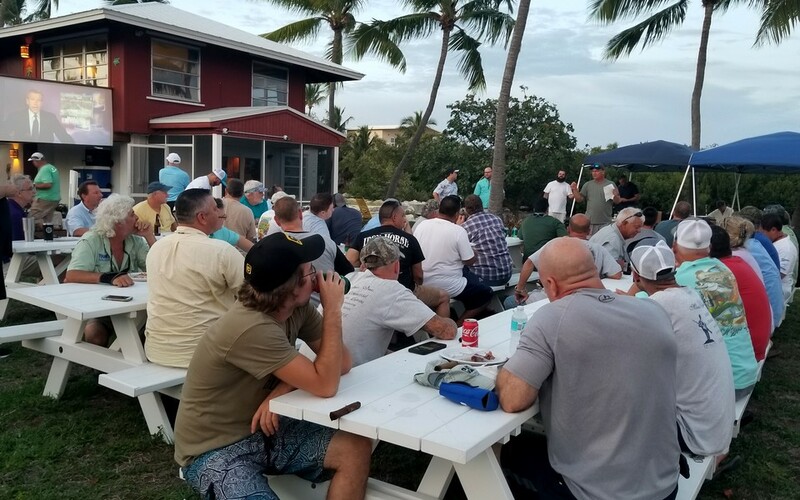 Whether you’re visiting for a fishing adventure, a family vacation, for a group getaway or a romantic tropical escape, our Islamorada resort will feel like home. Do you dream of splashing in an oceanfront pool and lounging poolside? Or are you craving to be on the water paddling a kayak through the shallows counting fish, cruising on a Stand-Up Paddleboard with GoPro in hand? Maybe you want to take your boat, or one rented and delivered just for you out to the backcountry for some seasonal angling or offshore for some reel action. Whatever you seek on your Islamorada vacation, Ragged Edge Resort & Marina is the “Old Keys” place you can be sure you will feel at home. Boating and Marina info! Daytripper’s Delight: Just a few hours from Key West to the south and the Everglades or Miami Beach to the north, our “Keysy” Islamorada resort is centrally located for all your Florida Keys outdoor adventures. Evenings in Islamorada are special also. The upper Keys offer incredible dining options from locals’ joints to fine dining to late night dancing and other shenanigans. And of course, you want to stop to soak in the famous Keys sunsets; the reward at the end of a magical day. fishing charter and restaurants to greeting us by name on the property. The rooms are beyond spacious, clean and comfortable. You have all you need and more here for a very reasonable price. We will definitely be back!!! Great true old Florida keys Resort ! With the charm that is all but been lost to the cooperate south beach style resorts . Family owned and operated for decades ! Reminds me of the resort I grew up coming to that was bought up and turned into a cooperate concrete jungle ! My son and I left the boat at home due to high winds but that was just fine we had a blast catching huge sharks , snapper and barracuda from the dock ! I hope this place is around for my son to bring his kids to many years from now! First, the staff at Ragged Edge are outstanding – friendly, customer focused and wanting to insure all guests are completely satisfied with everything. The rooms are perfect – clean, nice size and great ocean views. I will definitely stay here whenever I visit Islamorada. We specialize in accommodating groups of all sizes for corporate gatherings, family reunions, small weddings, team events, and fishing tournaments. Ragged Edge Resort & Marina has Accommodations available for up to 40 guests. For larger groups, we coordinate with other local resorts to ensure everyone you want to be here for your gathering can be. Whether your group is a destination wedding party or a laid-back business barbecue gathering we have the backdrop to fit its vibe. 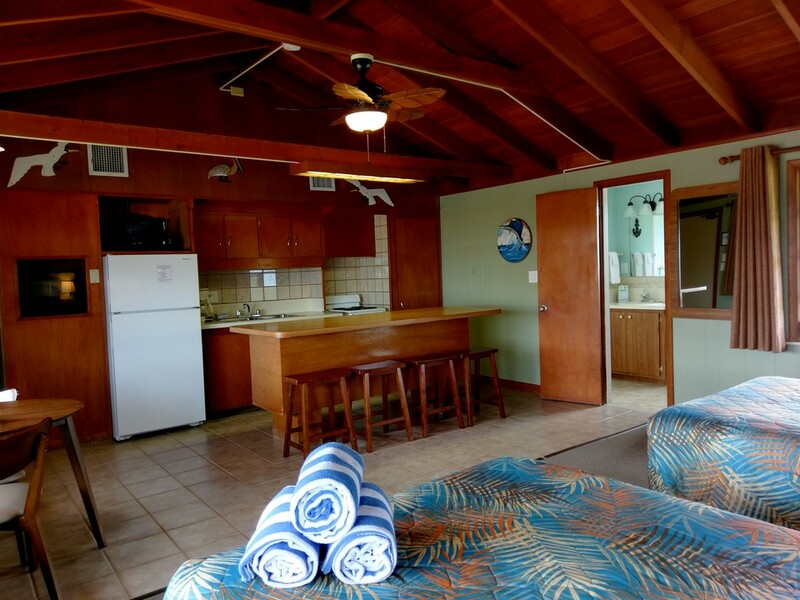 The property at Ragged Edge Resort & Marina is ideal for the unique needs of varied group gatherings. We have flexible space to set up for group dining, outdoor meetings and picnics. Some onsite amenities include a large commercial propane grill, 100 qt. coolers, and picnic tables. We even offer convenient bulk pricing for bags of ice, so it’s one less thing you need to think about while planning your event. Our onsite gravel parking lot is ideal for additional on-site parking and boat trailer parking. For sporting groups and teams: our resort is walking distance to Islamorada Founders Park. The park features an Olympic size swimming pool for swim team training, a nice sandy, public beach with restrooms and outdoor showers, a pavilion, an amphitheater, soccer and baseball fields, tennis courts, a kid-friendly small water park/ splash pad and walking path with circuit training exercise stops. 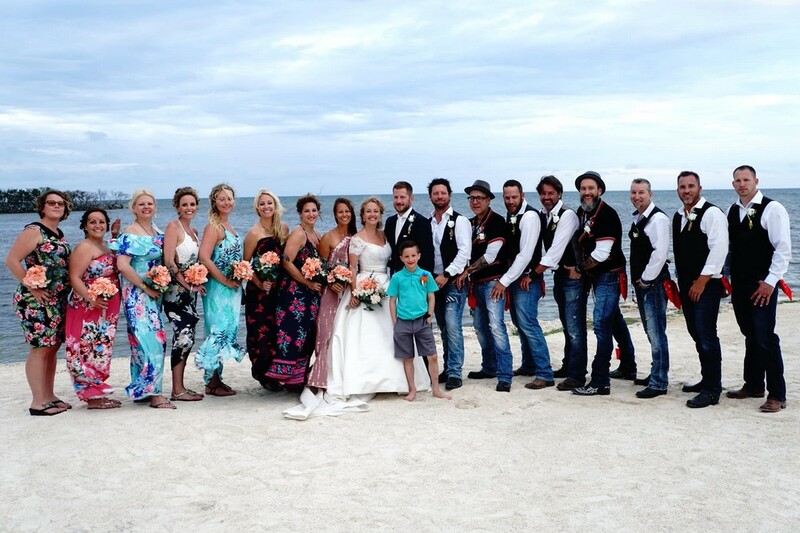 Islamorada weddings and social gatherings are barefoot casual here. Our tropical, oceanfront location makes a nature-tastic backdrop for your oceanfront nuptials, rehearsal dinners or cocktail parties, aprés-wedding brunches or pool party barbecues. Let us help create a group function as unique as you. We are eager to offer assistance with any parts of your planning. Rates: We offer special rates for groups that reserve more than 50% of our rooms for a minimum of 3 nights. Visit our Key Attractions page for vendor information.